Here’s a message the media won’t want to hear: the dangers of ignoring the devastation of abortion. Students for Life of America President Kristan Hawkins compared remaining silent on abortion’s destruction to ignoring trains heading towards concentration camps. To a gathering of pro-lifers preparing to pray in front of abortion clinics, Hawkins declared, “We’re literally on the train track. 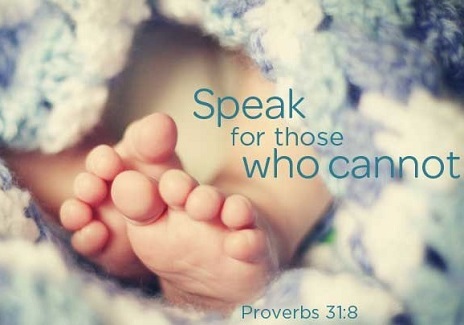 Because this is where women are being led – to slaughter their children.” Hawkins spoke during a candlelit vigil on March 5 to kick-off the Washington D.C. 40 Days for Life campaign. 40 Days for Life is a campaign of prayer and fasting for the unborn and their mothers held worldwide in 253 locations this spring. The movement, which went national in 2007, boasts 600,000 participants and over 8,200 babies alive today because of members who prayed outside of Planned Parenthoods and other abortion clinics for a period of 40 days. Standing in front of the D.C. Planned Parenthood, Hawkins explained how she once met a pro-life activist who spoke with a man from Germany about the Holocaust. He shared a childhood memory of how his church sang hymns louder when trains passed by with Jews screaming from inside. Continues after the video. And these people are literally singing. That’s all they do is they’re singing and what our job is to ask them to come out and join us during forty days for life. Right here, this is train track. We’re literally on the train track. Because this is where women are being led. – to slaughter their children. This is where women are being deceived. This is when the whole life that she had planned for herself leads her to this building, believing that she has no other option than to kill her baby. Other speakers at the event included Blessed John Paul II Chaplain Fr. Gregory Gresko and Project Rachel volunteer Rebecca Baehrend. The 40 Days for Life team leader Brett Manero opened with prayer. No media attended the vigil other than the Media Research Center. The Media Research Center reported on past vigils held in fall 2012, spring 2013 and fall 2013. A search of ABC, CBS, and NBC showed no coverage on 40 Days for Life – ever.